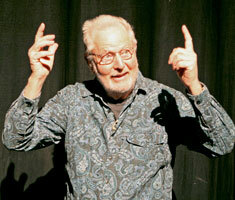 In this fascinating and informative podcast, you’ll hear Frank Buxton and John Ellis, co-founders of The Edge Improv and curators of the popular smARTfilm series at the Bainbridge Island Museum of Art. 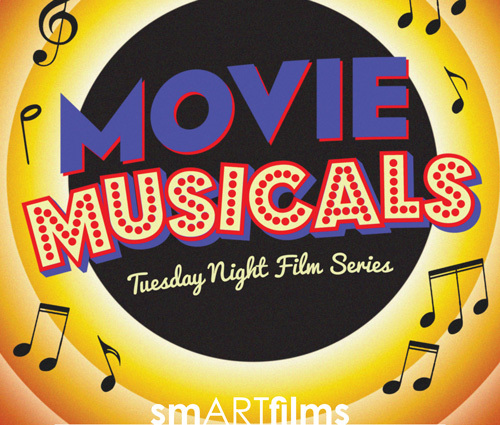 They describe the next offering of their “Tuesday Night Film Series”, which starts on Tuesday September 20th with a series of six Movie Musicals. 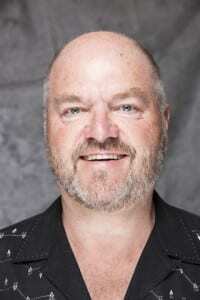 Joining this podcast conversation is their friend and movie raconteur, Frank Ferrante. 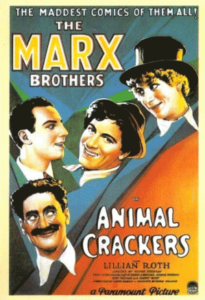 Ferrante will be a special guest on the opening night of this series, helping to kick off the Marx Brothers classic, “Animal Crackers”. Ferrante has spent 30 years impersonating the best of Groucho Marx to the delight of audiences around the world. Hear him talk about the history of the Marx Brothers films and how he became drawn to the legendary Groucho. Listening to this podcast, you will also hear Frank Buxton and John Ellis trading stories and fascinating facts about the evolution of film, and music in films, when even during silent films, music was an integral part of the show. Each of the Tuesday night film screenings is preceded by light and tasty dinners (sold separately) in the art museum’s bistro, prepared by chef Melinda Lucas and her talented staff. And after each film there is a light and spontaneous Q&A with the film series hosts. Sept. 20 (opening night): “Animal Crackers”. The classic Marx Brothers film. And, in person, special guest Frank Ferrante – star of “An Evening with Groucho“. Tickets can be purchased for a full film series pass, or for one or more of the individual films, at the Film page of the Art Museum website. Enjoy the comfortable Art Museum auditorium seating and the remarkable new laser projector (acquired this Summer) that presents the movies in more vivid detail.